Scones are one of my favorite treats to bake and indulge in. They aren’t super sweet on their own, but adding fruit, chocolate chips, or in this case, pumpkin and cinnamon chips, provides the sweetness needed to make them irresistible. Typically scones aren’t super moist; they are denser and a bit dry, resembling a biscuit more than a piece of cake. 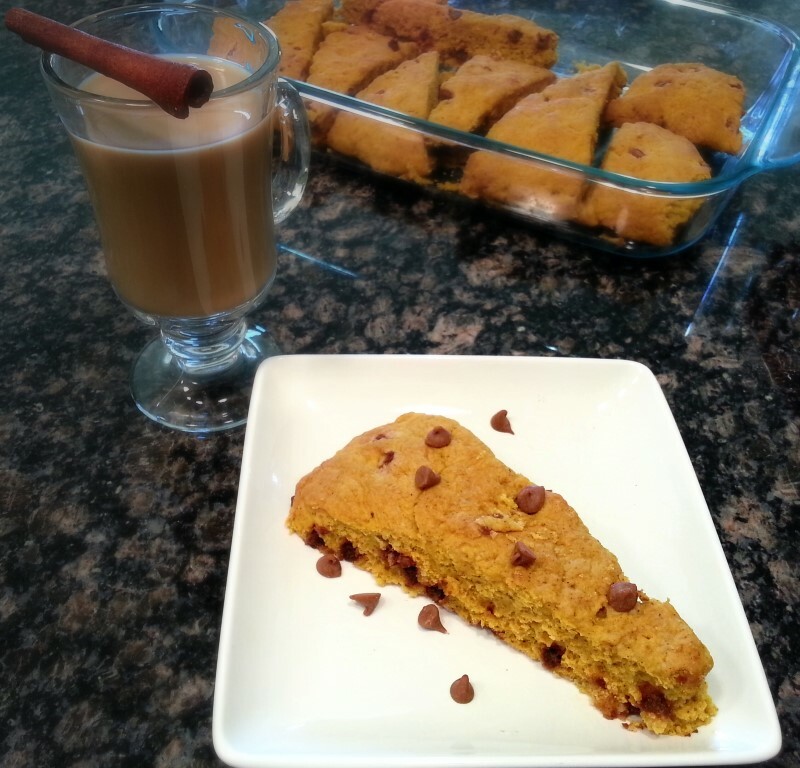 However, the addition of pumpkin in this recipe provides a unique variation. Biting into one of these pumpkin scones is like sampling a slice of pumpkin bread: soft, chewy, slightly dense, delicious. 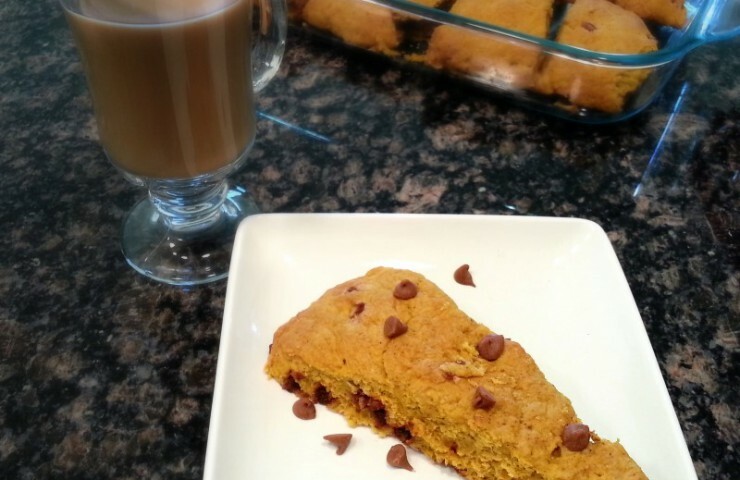 The cinnamon chips add a touch of sweetness and the perfect amount of spice to complement the pumpkin flavor. I can’t think of a better afternoon treat to pair with a stellar cup of coffee. To create these scones, first preheat the oven to 425°F. Mix 2 cups of flour, 6 tablespoons of sugar, 1 tablespoon of baking powder, 1/2 teaspoon of salt, 1 teaspoon of cinnamon, and 1/4 teaspoon of nutmeg in a large bowl. Lightly stir to combine. Using two knives, a pastry blender, or even your hands, cut in 6 tablespoons of cold butter until the mixture is coarse and crumbly. 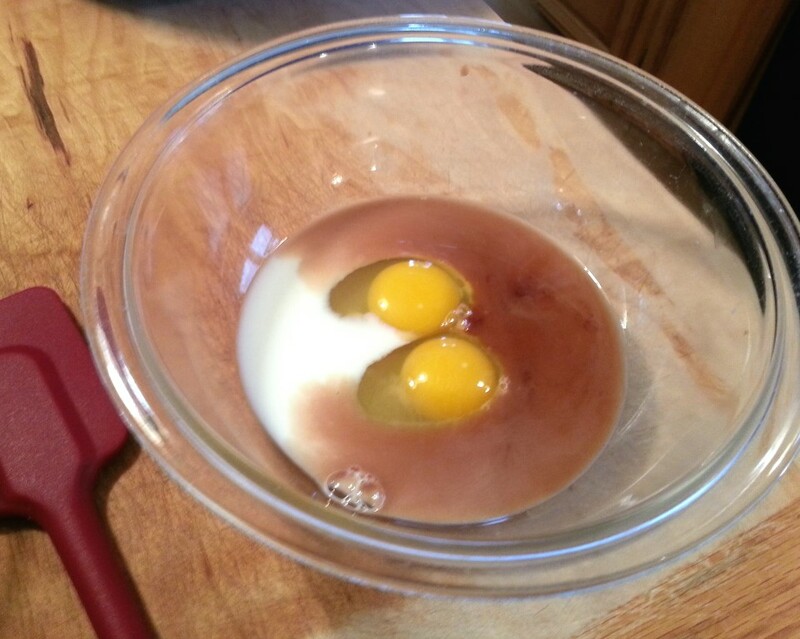 In a separate bowl, beat 1 egg, 3 tablespoons of milk, and 1 teaspoon of vanilla. Mix in 1/2 cup of pumpkin. Slowly add wet ingredients to the dry ingredients and mix. 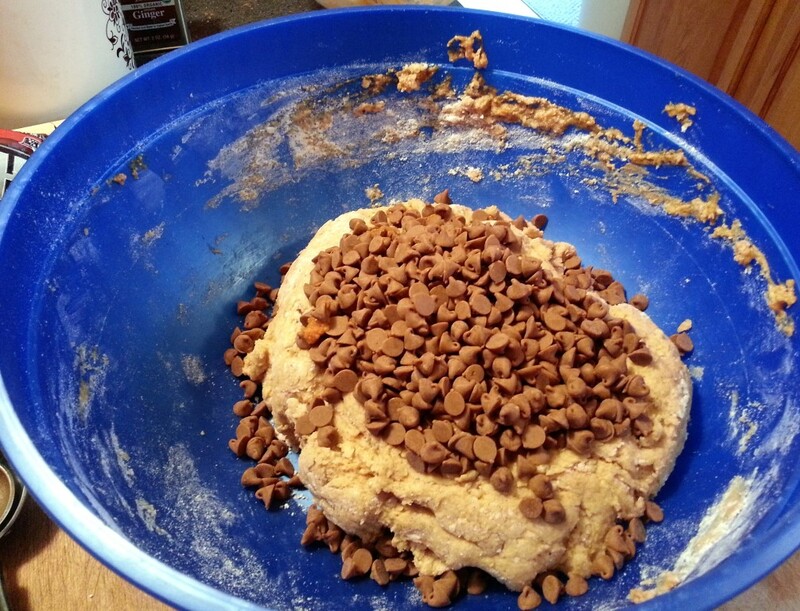 Fold in 1/2 cup of cinnamon chips. Transfer to a lightly floured surface and form into an 8-inch circle, roughly 1-inch thick. 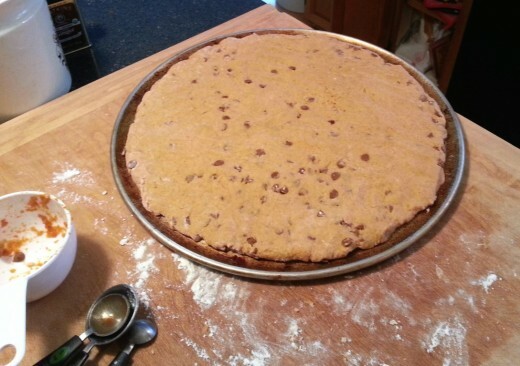 Note: when I made this recipe I doubled it so my circle is about twice as large. Transfer to a greased baking sheet or circular pizza pan. I prefer using the pizza pan! Use a serrated knife to slice into even wedges. Again, note that my recipe is doubled; you’ll have 8 equal slices, not 16. In a small bowl, beat one egg and 1 tablespoon of milk. Use a pastry brush to lightly brush the egg wash on top of the scones. Sprinkle a dusting of granulated sugar on top. Bake for 14 to 16 minutes, until lightly brown. Let cool. Optional: Mix the ingredients for the glaze in a small bowl. Drizzle the glaze on top of the scones, and let it harden before serving. I didn’t include the glaze last time I made these, but I did use it with apple bars recently and it paired very well. What scone recipes have you tried and enjoyed? Does the texture vary between recipes? Please share below! Preheat oven to 425°F. Grease a baking sheet or a circular pizza pan. 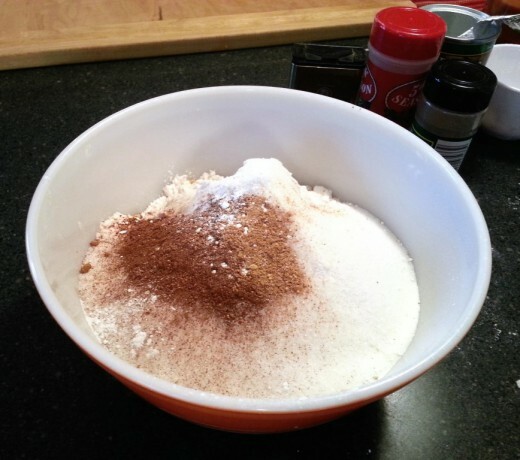 In a large bowl, mix flour, sugar, baking powder, salt, cinnamon, and nutmeg. Cut in butter until the mixture is a crumbly texture. In another bowl, mix egg, milk, vanilla, and pumpkin. 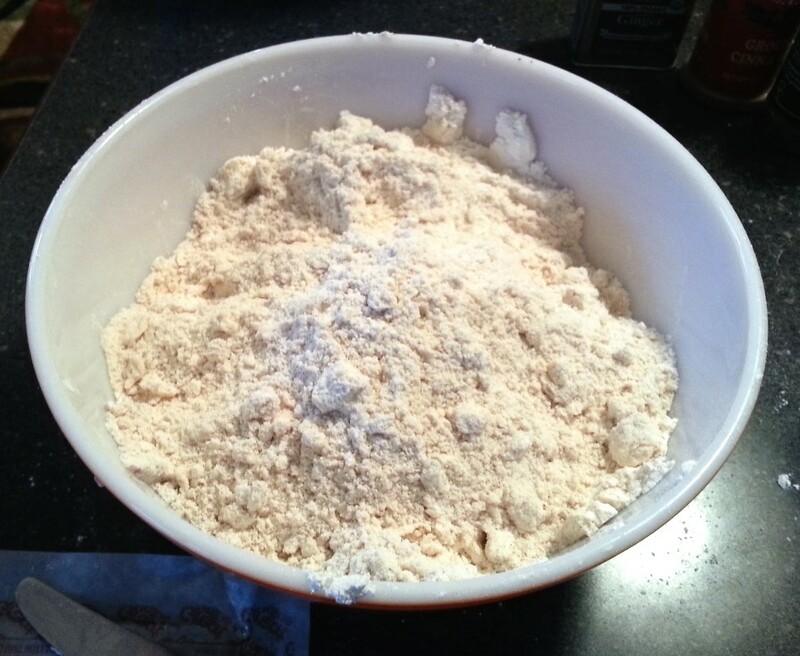 Add to the dry ingredients and mix until just combined. 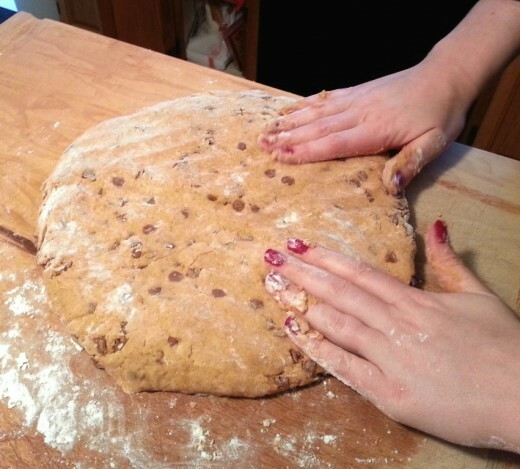 Form dough into a circle, about 1 inch thick on a lightly floured surface. 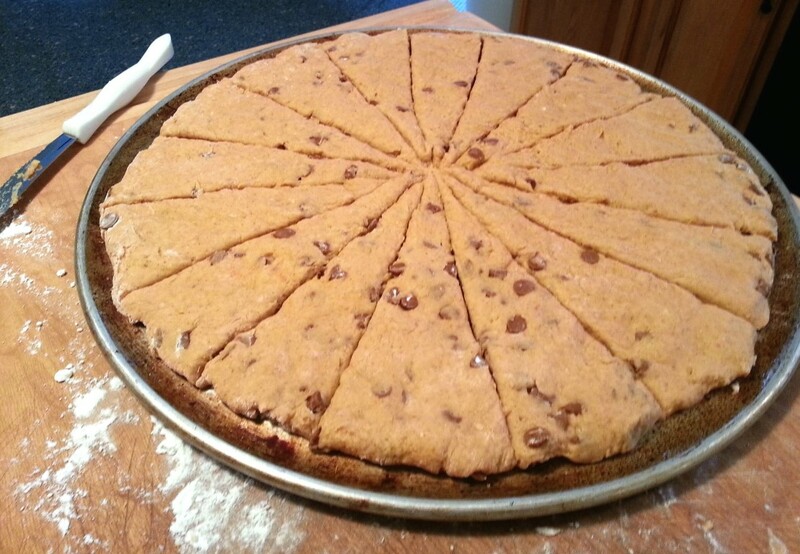 Using a serrated knife, slice the circle of dough like a pizza, into eight even slices. Transfer to the greased baking sheet. 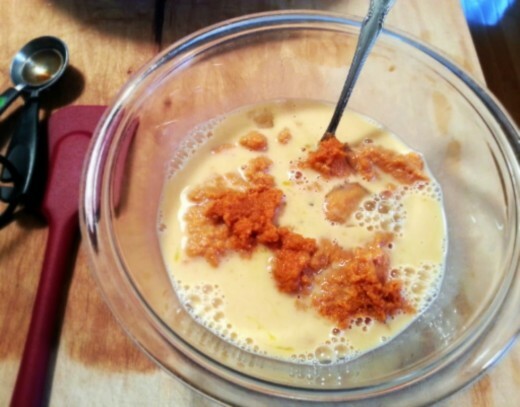 Mix the egg and milk together to create the egg wash and lightly brush on top of the scones. Sprinkle a dusting of sugar on top. Bake for 14-16 minutes until lightly browned. Let cool. Optional: Combine all ingredients for the glaze and drizzle on top of the scones once they are cooled. Let the glaze harden before serving. Recipe was adapted from My Baking Addiction.